Everything we need seems to be readily available in the grocery store. The supermarket amazingly never runs out of stock. It is our source of goods, from canned tuna to shampoo, whatever brand we might want, our usual vendor is sure to have it. Everything is put in order to sections and departments, and the different types of product sorted out by aisle making us customers shop through and glide through easily. Supermarkets, hence are known for its efficiency for supplies. Not to pass for the supermarket's fame, it has been said that a top car company, surveyed these grocery stores for their organizational techniques. The car company is Toyota. They surveyed the grocery stores as to put in to practice what the supermarkets long had been doing. Toyota looked at how grocery stores operate. They looked closely at how they would always have stocks on their shelves. They examined how the supermarkets always knew what products would sell, what supplies they would need, and what stocks they would need to replenish. Toyota, from their close study of the supermarkets, quickly developed their own organization and shelf stocking techniques which they applied to its factory floor and main plant machine shop. They developed this technique based on the rate of supply and demand that is used to manage the rate of production. 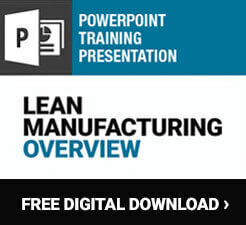 This organizational process led Toyota to be adamant about improvements in organization. Now, the organizational technique is not only being used on grocery stores or car plant shops, it can be seen almost everywhere. It has been implemented on hospitals, and fast food chains as first-in-first-out processes. This organizational technique is called the Kanban system, after the Japanese word billboard or signboard. This system is not just any ordinary clean-up and orderly technique. It tells the staff what items are should they produce or the order, when it should be produced, ordered, and most importantly how much should they produce or order. It serves as a communication device for the company to order from suppliers, as work instructions for the manufacturing area, and as paperwork elimination. Inventory is a vital part of every company as one loss of a product or item could cripple the company. This organizational technique assures of less inventory loss. This system is beneficial to every industry, as suppliers and production is limited to a number of errors such as machine malfunctions and inventory loss. This system is used as a shopping list. However, unlike most lists, it helps save the company time, effort and money. At the same time, it also helps the company gain complete control of its supplies, as it is always updated with the stocks report and holds up the production system. This organizational technique needs a very tight schedule of operations as the process of production is to be met with low margin of errors and must operate with low variability. A simple mistake would have an outcome on the whole system. The system puts importance on meeting schedules as it reduces setup cost, lowers lead time on production and the handling of stock materials. Kanban is taken on differently according to each industry - automotive, pharmaceutical, or trade. The way that the system works depends on the industry's requirements. It is highly specialized to meet each company's specific needs. There is no guide or a training technique; however the concept of Kanban remains the same whatever industry it might be in. There are many types of Kanban systems. Some factories and stores uses flags, designated ares or signal lights as gestures that the inventory is depleting needs to be refurnished. However, one of the most commonly used of the systems is the card. The cards are key components of the organizational system. These cards are used as warning signs for the necessity to move stocks and items within a store or manufacturing facility. Sometimes, the cards can also serve as containers which are used as indications. These cards are filled with information, most important of which is the safety stock quantity, which tells the staff if it is time to reorder. Other important information found in the cards is the re-order quantity. The reorder quantity tells the staff or manager how much stock they should order or move so that supplies would still be in touch with the demand. Cards often also include bar codes, item codes and the price as to facilitate ordering. They also have a ward name, ward storage location and the date of the last update. A red card would simply mean that there is an unfilled and bare part of the stocks. The cards are used as indicators for the decrease in the production or inventory of products and items which in turn activate the replenishment of the stocks. The first rule of the organization technique which involves these cards has often been to shift the card as to order more stock. There is often a post to place the cards that will inform the staff that there is a need to order and refill stock. The cards, then, are used as guide to call for the shop to refill stock. After that, the cards should be placed correctly while restocking. Another type of this organizational system involves twin bin chambers mounted vertically. One of the chambers serves for the in-use stock, while the other is for the reserve stock. When the use stock runs out, the reserve stock would automatically go down the use stock, signalling the staff to refill the reserve stock. This would assure the company of a one hundred percent traceability, and no falter in stock outs as it assures of a first in, first out system. Most bins would secure contamination as they are closed by a lid and there are chambers which use locks. Trays can be added so as to prevent any dust, dirt or debris from the chambers. There are chambers which also use colors and name tags so the supplies and products may be easily identified. Recently, some chambers are being improved into racking systems to compliment the twin bin system. There is also a type for the manufacturing system. Usually a machine shop provides components for the final assembly. To meet the customer's need, an assembly is often made through manual operation in a very modest setup and manufactured in small lot sizes. The products are made by batches to pay back the setup and sequence parts to small tool charges. A little quantity of each part is maintained when the machine is being made. The quantity observation would then let the company know what products are to be made. Another type is the bread truck, which involves a driver. In this sytem, a driver must follow a fixed route as he delivers from store to store, and at each stop, the driver and buyers examine the stuck and refill what has been sold. Recently, another Kanban system has been gaining popularity. This is the electronic system. This organizational technique sends electronic signals to the company's staff members to restock the materials and items. If your company aspires to implement this organizational system in to your group, there are few guidelines that you would need to follow. Get all of the staff members involved. Have a meeting with all members of the company and provide proper orientation regarding the organizational technique, the type of organizational system you will be using and how the system works. Analyze your stock usage. Figure out what from your inventory list, customer ordering patterns and restock needs would most require the organizational technique. There might be some items which do not need constant reloading, thus would not be in need to join the system. However, there might be items which decrease in number everyday and has a constant call for replenishment. A good example of this is merchandise with limited shelf life such as meat and seafood in a grocery store. Decide how many items to order. Settle on the required lot sizes for your shelf stocks, this would help the company to determine what the deliveries should be so that the shelves are supplied appropriately. Knowing this will help with a consistent amount in the delivery, there would be no need for a change in the deliveries every time, therefore maintaining consistency which in turn maintains accuracy. Apply a data inventory system. Put into practice a tracking system in to your inventory techniques which would indicate the need for a renewal in the delivery of the merchandise. Some grocery stores use barcodes. When a customer buys a certain item with the tracking system and the cashier scans it, it automatically tells the grocery manager that the supply is running low. The barcode would indicate a need for a update on the inventory and call for delivery. Aim for true quality sources. 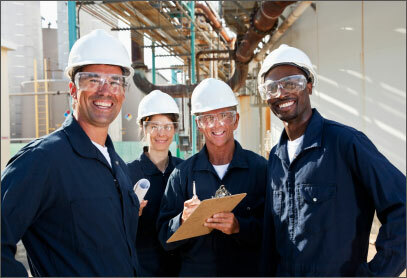 When implementing this organizational set-up, the company often gets the suppliers involved. They may send the warehouse or facility inventory information on a regular basis. Some systems allow the program to transmit signals when the in-house stock is decreasing and there is a necessity for replenishment and delivery. 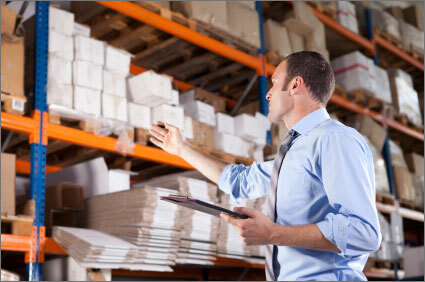 Strive to obtain world class inventory materials from sources who would deliver efficiently. Prepare the company for initial adjustments. There will be growing pains when the organizational technique is first put to use. Also, there might be some elements in the technique in which the company might need to adjust. After putting in to practice this widely known organizational technique, you might expect a few of the system's common effects. 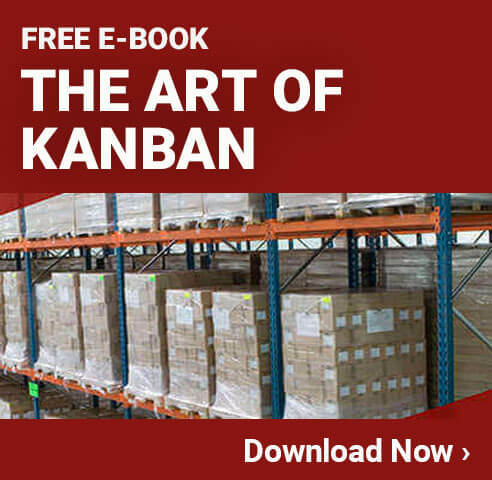 Kanban systems have an influence in the production system and acts as a response to the demands of the customers. The need for delivery is then lessened, thus allowing the company and the customers' flexibility in their ordering, budgeting and planning. With the organizational technique put in to use, it would result in low-cost, but still high volume parts. This inventory system boasts of its accuracy in predicting future demand supplies, therefore companies could very much rely on the inventories of its items. The company would benefit greatly from quick product improvements, modifications and even new product designs through reduction in the ineffective and useless inventories. This organizational system increases production flexibility by getting speedy replies to sudden modifications of demands. As the product line flexibility is enhanced, it would in turn get a rapid response via stoppages in supplies. It assures companies of production flexibility, and at the same time lowers production costs. Kanban production systems guarantee companies of an improvement and success rate. It has already been proven to promote developments by reducing inventory loss. It provides a scheduling system that would allow companies to produce items that they need, and at the same time informs the companies of the vacant stocks they have, thus the company knows how much more to produce.